It's a Mystery Themed WoW today! 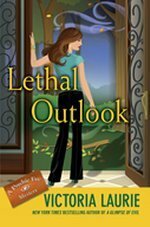 I so cannot wait for these mysteries to release! Oh, these both look SO exciting...I especially like the idea of the vintage clothing store. You have won my heart! This is the first time since I have started blogging that someone has posted about mystery books (: I love them and these look amazing!! In A Witch's Wardrobe seems so adorable and awesome. Love the pink cover too!! These books look cute. I would give these books a chance. Great picks. As always Jessica, you choose books that I wish I had heard of first. Fantastic. Thanks for checking out my WoW. We're also hosting a giveaway of A Girl Named Digit until June 5. Check it out! Oooh, In A Witch's Wardrobe sounds like such a great read! That one definitely goes in the TBR pile. Haven't heard of either of these and I would totally read them both - great picks! I hadn't heard of either of those books, but they definitely look like a lot of fun. Hope you get your mitts on them soon! Fashion and magic? Sounds awesome! the first one has such an adorable cover! I haven't heard of these, but they both sound interesting. Thanks for sharing. ooo Great post! I've never seen either of these before but they look great! I'll be honest here, I'd never heard of either of these, but A Witch's Wardrobe looks great! Thanks for stopping by as always, Jessica! I'm very excited for Lethal Outlook. I love Abby and can't wait to hear about Weddingpalooza. In a Witch's Wardrobe sounds really cute too. Thanks for stopping by! These sound pretty good! They remind me of the Sookie Stackhouse books that I'm reading right now since they're paranormal/fantasy mysteries. Very fun. 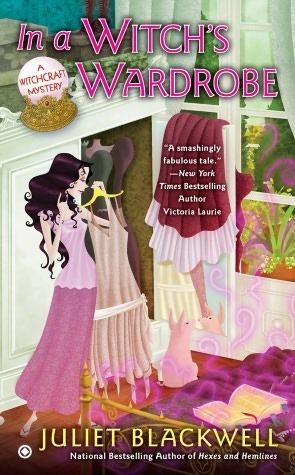 The cover of In a Witch's Wardrobe is really cute too! Cook picks! I haven't seen either of them before. Ohhhh, I haven't heard of either of these before! They both sound really awesome. :) Great picks! Hope you get to read them soon, I haven't heard of either acutally.